Back in college, Greg Golden got a laugh out of his wife (then girlfriend) by suggesting that they should sell pretzels shaped like mustaches. Five years later, Greg quit his forensic accounting job to do just that. 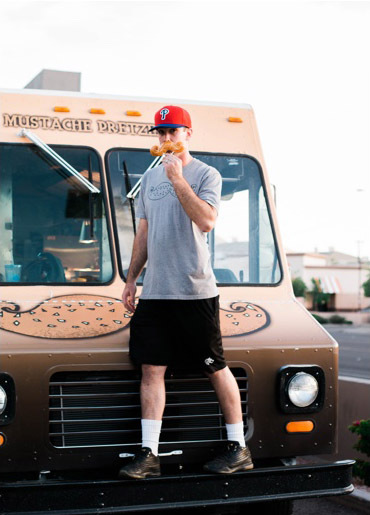 Armed with a little more then a clever slogan and a balky old box truck, Mustache Pretzels hit the streets in march 2014, and hasn’t looked back.